A bathroom vanity is a combination of a sink and the storage area around it. This is generally considered a part of the bathroom cabinetry, which is designed to hold the sink and conceal the plumbing to and around the sink. 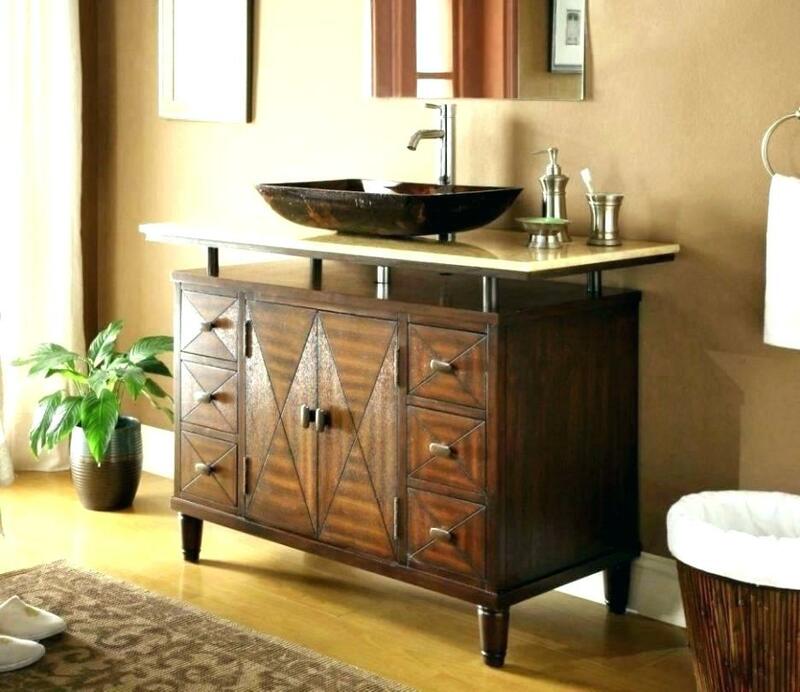 A bathroom vanity is generally not something that many people pay much attention to, but here are 10 beautiful up cycled bathroom vanities, that are absolutely breathtaking. This one of a kind bathroom vanity was discovered by a design firm in New York, called Carrier and Company, who found a soapstone cow trough, salvaged in a property when converting an old dairy barn in to a guest cottage for a client. The owner, Jesse Carrier and his team, decided to add custom hinges to this cow trough and wooden top to make one of the most unusual bathroom vanities, which you would ever find today. This unique vanity, was a design of a famous designer called Benjamin Bullins, who while designing a client’s bathroom, found a small place that sold scrap metal, and saw a bicycle sitting in the corner of the shop. He then bought the bicycle, and replaced the tires with solid rubber, so that it would never go flat. He then added a wooden top to the bicycle and used it to place the sink, while using the cycle’s basket as a towel rack. This bathroom vanity is made of an old mirrored dining room cabinet, which was recycled for a bathroom. The top of this cabinet is sealed with polyurethane, while the 2 square sinks are sealed with caulk around the edges. The hardware around this vanity is added in varying shades of brown, to preserve the vanity’s antiquity. This is another mind blowing invention from Benjamin Bullins, who found an old boat engine, and painstakingly cleared the motor to accommodate the plumbing. The top for this vanity is made of an old wood fishing lure in clear resins to preserve the uniqueness of the vanity. This beautiful bathroom vanity is made of an actual oak wine barrel, where the craftsman John Koering painstakingly fitted the plumbing to this barrel and turned it into a bathroom vanity for Premier Copper Products, which sells copper sinks, like the one used in this vanity. This bathroom vanity is one of the simpler vanities in this list. The owner of this vanity, Erin Rodriguez, found an old plotting table on Craigslist, and a salvaged sink from a local shop. She also found some cans of mis-tinted paint, and used all these items to build her own bathroom vanity. This incredibly simple vanity is made of an old second hand dresser found at a flea-market, which was then converted to a bathroom vanity by just sawing through to accommodate the plumbing. The drawers in this vanity are still functional, which further adds to its uniqueness. The uniqueness of this vanity is that, it isn’t made up of anything. It is just a marble top placed on top of a washstand, which looks absolutely amazing. The railing on the stand gives you a place to hang your linen as well. This absolutely stunning vanity was invented by the Ohio based remodeling and design firm called Architectural Justice. It is made of an old salvaged piece of log, which was hollowed out to accommodate the plumbing, and an onyx vessel used as the sink. The idea was so well received that the firm, has started to reproduce the vanity to be used in other projects. This beautiful vanity is made of just normal twigs that are cut to uniform length, and joined together with proprietary adhesives. A clear sink is placed on top of it, to preserve its beauty. 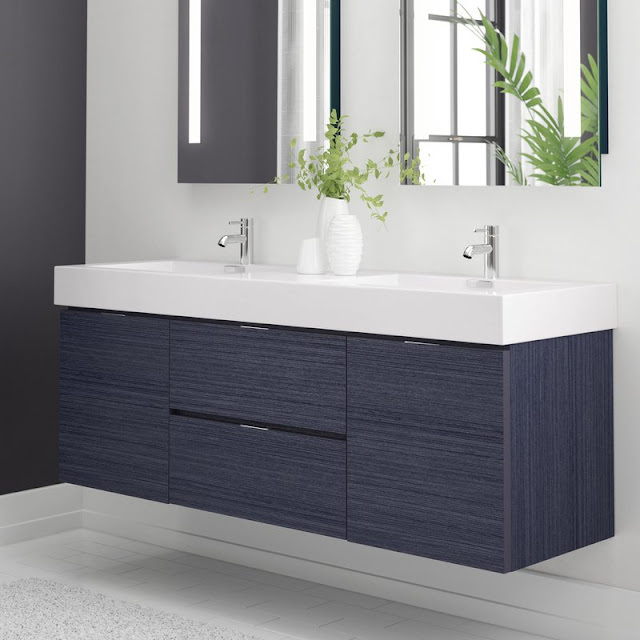 As you can see, most of these bathroom vanities, may not have cost its owners much, but when you look at the outcome of such vanities, it looks absolutely beautiful.